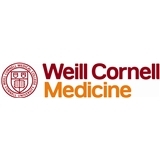 Weill Cornell Internal Medicine (New York) - Book Appointment Online! Very throrough, kind, and really takes the time to listen to what you have to say. Probably one of the best physicians I’ve seen in a long time!